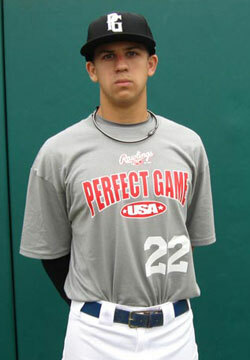 Cal Sutphin is a 2010 SS/P with a 6'2'', 183 lb. frame from Greensboro, NC who attends Southwest Guilford. Tall athletic build, body projects well, good bat speed, aggressive approach, balanced, can turn a fastball around with ease, ball jumps off the bat, good defensively, plus instincts, online throws with good carry, quick release and transfer, good 3B tools, short compact arm action on the mound, 3/4 arm slot, live arm, heavy life on fastball, athletic delivery, solid command, very strong student.